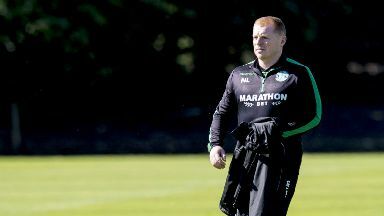 Neil Lennon has completed a move for the Belgium Under 21 international. Hibs have signed Genoa midfielder Stephane Omeonga on loan until the end of the season. The Belgium Under-21 international has played 22 times in Serie A but will now continue his development at Easter Road under Neil Lennon's watch. Omeonga moved to Italy in 2016 after coming through the youth ranks in his homeland with Standard Leige and Anderlecht. The 22-year-old said a presentation by Hibs helped convince him the move was the right one for him. He told Hibs' website: "I'm really happy to have had the chance to come and play for Hibernian. "I've known of the interest for about a month and the club pushed hard to get me, which made a real impression. "I also received a presentation that went into real detail about what I could expect and what Hibernian expects of me. I've never seen that kind of thing before. "So, from that and what I've seen for myself, I think I will really enjoy playing here and suit the way the team likes to play. "I like to do my talking on the pitch but I would say to the supporters that I am someone who likes to go box to box, to run hard and tackle. "I am all about helping the team. I'll give everything I have to do that. "Everyone made me feel so welcome from the second I arrived at Easter Road before Saturday's game and now I'm just looking forward to getting started." Head coach Lennon, who recently completed a loan deal for Ryan Gauld, believes Omeonga will bring a new dimension to his team's play. He said: "Stephane comes to us with great pedigree, having played a good number of games in Serie A for someone of his age. "We've watched a lot of him and we think he can add a lot to the group in terms of his energy, dynamism and willingness to go box to box. "He's not scared to put a foot in to try and win the ball back. We think he'll complement those around him and give us a different kind of option. "We're all happy to have him here."